For celebrities, perfect teeth are a necessity for building and keeping their career. According to some, having a perfect smile becomes a status symbol for those who are in the television industry. The teeth are the one thing that they need to maintain since celebrities are more prone to be critiqued heavily. With the advancements in dentistry, it is now much easier for people to fix any teeth irregularities. 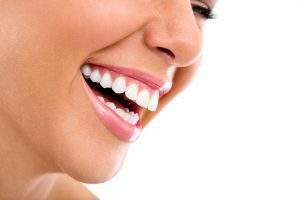 With the use of different cosmetic dentistry options such as veneers and teeth whitening, a beautiful smile can be achieved in an instant. However, for a much-complicated issue like missing a tooth, these treatments may not be the solution. For a smile to be restored, a procedure like dental implants is needed. Meanwhile, here are three celebrities who restored their smiles with dental implants. Christie Brinkley. A healthy smile is what the ‘Uptown Girl,’ Christie Brinkley, wanted to keep. For her, it’s the reason why she’s still on her career. But after the helicopter incident in 1994, Brinkley’s two molars were broken and extracted. Fortunately, dental implants are already available during that time. Taylor Hicks. The Season 5 American Idol winner had his two front teeth knocked out during high school while playing basketball because he does not wear a mouthguard. The good thing is that Hick’s father is a dentist who was able to control the bleeding for him to continue the game! After his dental implant treatments, a stardom-worthy smile was achieved. Ed Helms. An accident didn’t cause Helms to opt for an implant; it was due to the condition where people congenitally has a missing tooth. It was at the age of 16 when he received a dental implant. At Shawn A. Walls, DDS, we provide Dental Implants procedure which is a reliable alternative for replacing a tooth. It makes use of a titanium post that serves as root and is surgically implanted into the jawbone where the dentist can attach a prosthesis to. Unlike traditional dentures, dental implants provide adequate stability while preserving the jawbone. It also doesn’t come loose like any other dental appliance used as teeth restoration. For more information about Dental Implants in Johns Creek, GA, be sure to contact Shawn A. Walls, DDS today. Our entire team looks forward to meeting you in person and helping you achieve the best possible dental health results. Visit us today at 10700 Medlock Bridge Rd., #202, Johns Creek, GA 30097 to get started on your new smile!